o in Italian: La cucina piccola fal la casa grande. o in English: A small kitchen makes the house big. (Equivalent) The best things in life are free. 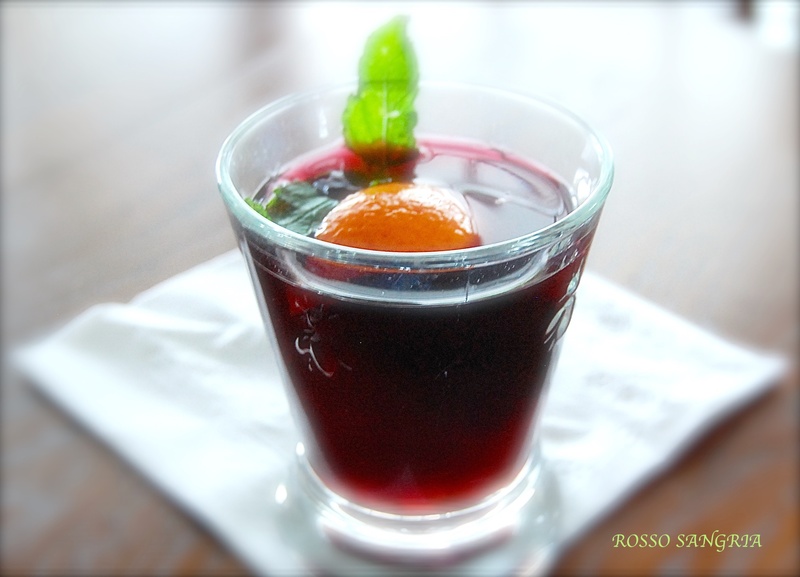 A fruity summer sangria is one of the most refreshing drinks and not difficult to come up with the right sweet to tart version that I love, 1 bottle of Rosso wine from TJ’s is my choice and an inexpensive 1/2 bottle Prosecco is just fine rather than a more expensive Cava. An addition of 1/4 cup of sugar, 1 orange, 1 lemon, 1 lime, and one red apple (all sliced) is my perfect recipe, but taste to see if you would like a sweeter or fruiter taste and adjust. Pasta fagioli is one of Michael’s favorite soups and tonight I added some beans from the farm stand along with the usual overnight soaked navy or great northern beans. Now the beans from the stand will go unnamed since the bag was not marked, but I was told to cook them like butter beans so naturally they didn’t get the overnight soak, but simmered on their own with a smaller pork shank, and then added to the rest of the soup the last hour of simmering time. Cook the pasta al dente separately, drain and add a little of the soup broth to keep warm…to serve ladle some noodles and soup into a large bowl and serve with plenty of cheese and red pepper flakes. 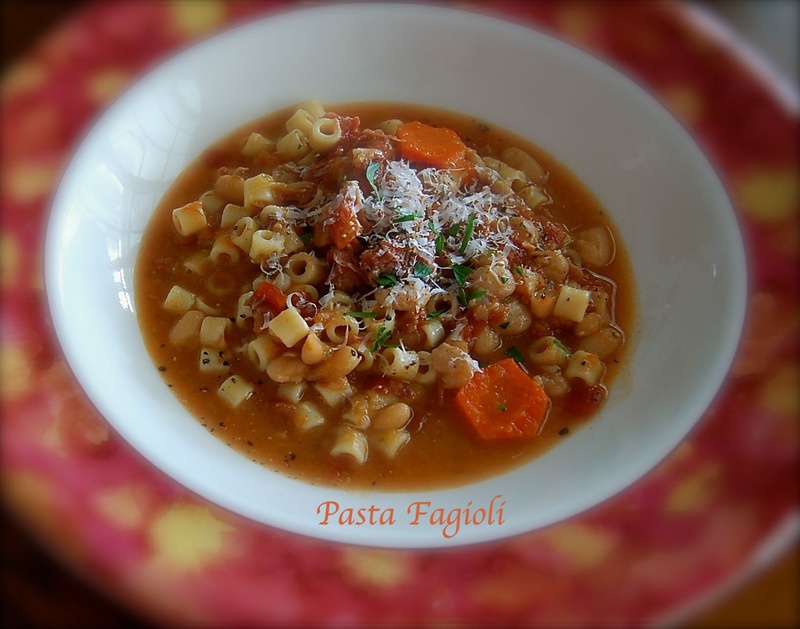 Searching pasta fagioli recipes online will offer you many good recipes and certainly a family recipe of your own is going to be fabulous, well save for a couple that I’ve tried that are weak and not exactly full of flavor and end up in the revamp or dump pile. Simply put, times have changed and so many centuries of gathering and perfecting recipes can offer huge boosts of flavor suggestions for your own recipes. A perfect start is good hearty homemade stocks and I used 7 cups of chicken and beef for this night’s pot of pasta fagioli. Naturally a big piece of cheese rind is melted into my soup, fresh bay leaves, parsley, a smoked pork shank and some leftover ham were a few of the other big flavors. 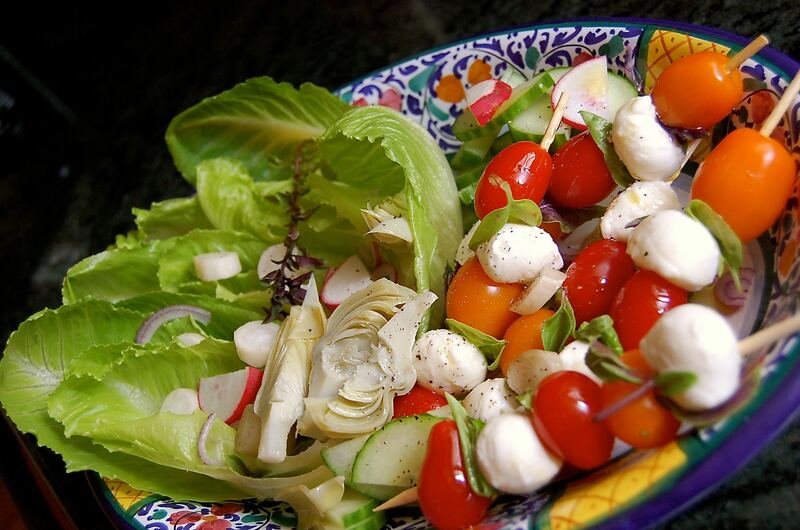 A simple great dinner was rounded out with a salad dressed with a red wine vinaigrette and a fat loaf of Italian bread.